Fox Gearheard, Shari, Lene Kielsen Holm, Henry Huntington, Joe Mello Leavitt, Andrew R. Mahoney, Margaret Opie, Toku Oshima and Joelie Sanguya, eds. The Meaning of Ice: People and Sea Ice in Three Arctic Communities. Hanover, NH: International Polar Institute Press, 2013. Dagnell, Lara and Hilary Shibata, translators. The Japanese South Polar Expedition 1910-12: a Record of Antarctica. Bluntisham, UK: Bluntisham Books; Eccles, UK: The Erskine Press, December 2011. Krupnik, Igor and Michael Chlenov. Yupik Transitions: Change and Survival at Bering Strait, 1900-1960. Fairbanks: University of Alaska Press, 2013. Adams, Brian. I am Alaskan. Fairbanks: University of Alaska Press, 2013. *Bart, Sheldon. Race to the Top of the World: Richard Byrd and the First Flight to the North Pole. Washington, DC: Regnery Publishing, 2013. Burn, Dr. Christopher, ed. Herschel Island Qikiqtaryuk: a Natural and Cultural History of Yukon’s Arctic Island. Whitehorse: Wildlife Management Advisory Council (North Slope), 2012. *Dathan, Wendy. The Reindeer Botanist: Alf Erling Porsild, 1901-1977.Calgary: University of Calgary Press, 2012. Co-published with the Arctic Institute of North America. Friesen, T. Max. When Worlds Collide: Hunter – Gatherer World-System Change in the Nineteenth Century Canadian Arctic. Tuscon: University of Arizona Press, 2013. Haddelsey, Stephen. Shackleton’s Dream: Fuchs, Hillary and the Crossing of Antarctica. Stroud, UK: The History Press, November 2012. Issaluk, Johnny. Games of Survival: Traditional Inuit Games for Elementary Students. Iqaluit: Inhabit Media, 2012. *Kan, Sergei. A Russian American Photographer in Tlingit Country: Vincent Soboleff in Alaska. Norman, OK: University of Oklahoma Press, 2013. Kruse, Frigga. Frozen Assets: British Mining, Exploration, and Geopolitics on Spitsbergen, 1904-53. Eelde, NL: Barkhuis, 2013. Lensu, Mikko and Paula Kankaanpää. 80 N – Kinnvika. Rovaniemi, FL: Arctic Centre, University of Lapland, 2013. Publication financed by Nordic Council of Ministers. *McLeish, Todd. Narwhals: Arctic Whales in a Melting World. Seattle: University of Washington Press, 2013. Scott, Patrick. Talking Tools: Faces of Aboriginal Oral Tradition in Contemporary Society. Edmonton: CCI Press, 2012. *Walton, David, ed. 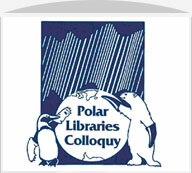 Antarctica: Global Science from a Frozen Continent.Cambridge, UK: Cambridge University Press, 2013. Weyapunk, Winton, Jr. and Igor Krupnik, compilers. Kinikmi Sigum Qanuq Ilitaavut / Wales Inupiaq Sea Ice Dictionary. Washington, DC: Arctic Studies Center, Smithsonian Institution, 2012.